Thank you so much for visitIng our wedding page! We are so excited to celebrate our special day with our family and friends and in the presence of God. We are so thankful for each one of our friends, family, and supporters- we would not be where we are without you. It would be our honor for you to join us in the great celebration. This page of our website contains wedding day details, travel information, and much more -check back for updates! Looking forward to a blessed time with our family. Join us on August 2 in Pasadena, California for our wedding. Don't forget to RSVP! Please take a look at the Travel & Accommodations sections of our website to find useful information about transportation and hotels. We are so thankful that God brought us together! We met 2 years ago in June 2013 at a prayer meeting at UC Davis. We quickly became best friends. All it took was one conversation to realize that we were meant to run together. From then, we labored together on college campuses and in the prayer movement, not only in NorCal but throughout the West Coast -even going on a national mobilization tour together! There was no question from the beginning that our personalities meshed, and that we had such similar passion for Jesus and His purposes. However, it was all surrendered to the Lord, putting His Kingdom first. In the winter of 2014, through much prayer and counsel (and prodding from friends), I (David) confessed my feelings to Audry and was overjoyed to find them mutual. We began courting in early 2015! Find out more about us and what we do by clicking here. All throughout the month of March, I (David) had been planning, plotting, and scheming to propose to Audry at the perfect place and time. I was working on a custom ring with my friends from Catalyst Love, and miraculously got the ring two days before we left for our California for Christ Tour. On March 25, we had been given a day off to get refreshed before the tour. I knew I had to seize this moment. I asked Audry to take the day off with me in Malibu (important to the story later!!). We began with a great beach side dinner, timing our beach escapade to the sunset. 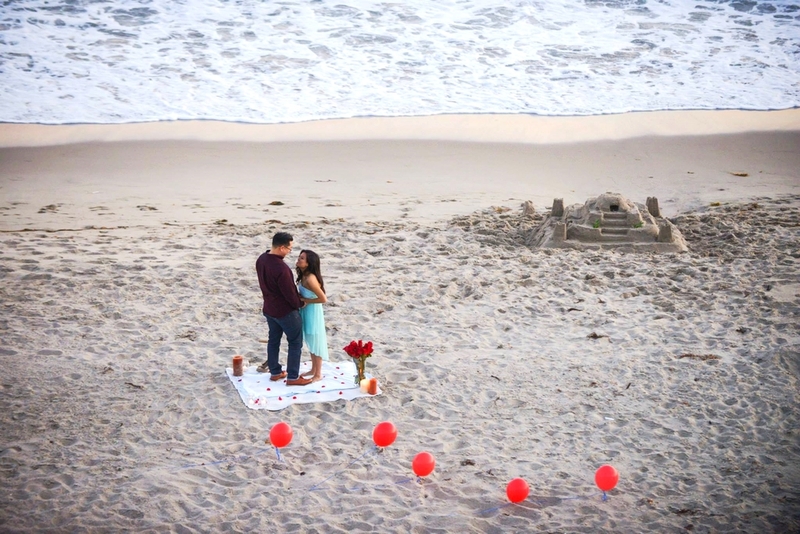 Unknown to Audry, I had asked her college friend Sarah Hutchinson to help set up a surprise (blankets and candles) on the beach, along with asking our mutual friend David Parks to take pictures. We drove down to the beach just as the sun was setting. At the beach, I asked Audry to close her eyes as I led her (she had no idea!!) to the blanket-glory set-up. The best part: this beach was the place where she had prayed for her future husband while she was a student at Pepperdine! 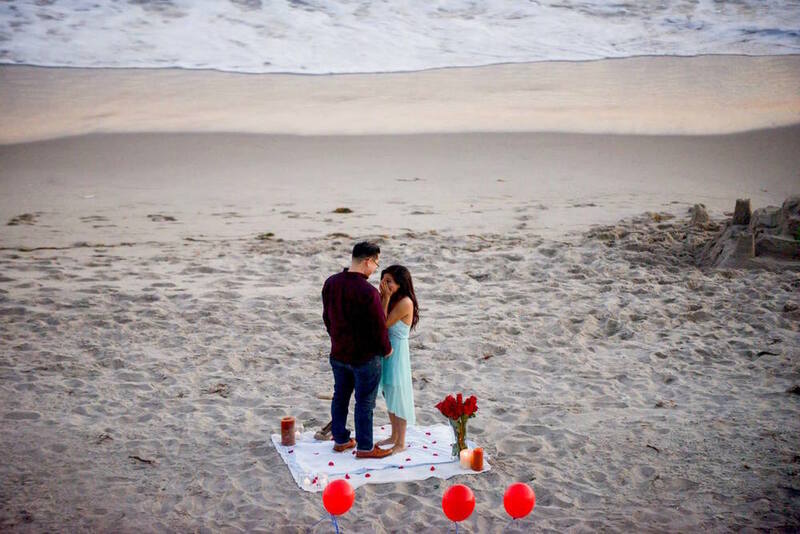 She had no idea that she was going to get proposed to at the very same place! Once we got to the place, I began to tell her how much I appreciated her. I was so nervous I forgot all the great lines that I had planned, but managed to ask the question. She said yes! It was such a beautiful and tender moment of God's faithfulness to her prayers in that very place and to the longings of our hearts. The RSVP password can be found on your formal or online invite. Please RSVP by July 15 so we can have an accurate headcount! You are invited to our wedding! We would like to invite all of our close friends and family in the joining together of David and Audry. There is plenty of free parking. Please arrive promptly at 2 as we have Mott Auditorium for a limited 2 hours. Mott is a special place for us as it is where we pray and full of God's promises. The officiators of our wedding are Lou and Therese Engle, Rod and Marion Hall, and Joe and Grace Kim. Reception, Dinner and cake cutting to follow the ceremony in the basketball courts right outside Mott. Please RSVP as this area is gated and only those who have been invited will be allowed in. Between 4-6 will be professional photos with the bride and groom, bridal party and their family. Join cocktail hour with light snacks and beverages during this time. We would like to welcome our close friends and family to celebrate with us afterwards! Hors-d'oeuvres and dinner will be provided. For those of you who are traveling from out of town, we are so grateful that you are making the trip to Pasadena for our wedding celebration! For out of town guests who are flying in, please fly into LAX- the Los Angeles LAX Airport. For those driving, the address is 1539 E Howard St, Pasadena, CA 91104. There is always a lot to do around Pasadena, and the house of prayer at Mott Auditorium is always open. Below are some hotels located in Pasadena. Please be sure to reserve your room as soon as possible for availability. We weren't able to reserve a block, so feel free to browse online for your own too! Please click the logos below to view our registry! We have registered at the following retail stores. Help us with appliances and essentials for our new home. Thank you for blessing us! Cash gifts are also appreciated in lieu of gifts since we both live as full time missionaries and are starting a new life together:) Checks can be made to David or Audry Kim. If you would like to receive a tax deductible receipt, you can make one time donations here. Visit our registry at Target! To view our selections, please click the link above or find our registry under David Kim or Audry Lin. View our registry at amazon.com! To view our selections, please click the link above or find our registry under David Kim or Audry Lin. View our registry at Crate and Barrel! To view our selections, please click the link above or find our registry under David Kim or Audry Lin. View our honeymoon wedding registry! David and I have dreamed of having our honeymoon on a tropical island for a long time. 4 nights in Cancun, unplugged at an all inclusive resort. That is, all stay, food/drink, and fun activities! Honeyfund is a cash registry that allows you to contribute to various parts of trip and make the honeymoon of our dreams come true! You can choose the amount that you would like to gift to us in smaller or larger amounts by clicking on the Honeyfund logo to the left! Help us start off our marriage with a week of relaxation and fun:) Our first break from the tours, class, labor and ministry in a long time. We love you all! Here are some of our favorite pictures together! Our day of engagement photos were taken by David Parks. You can visit his website here. We will update our page with engagement and wedding photos as they come!